MARINA DEL REY — The WaterBus is once again making its way around Marina del Rey this summer, providing harbor users with a water-based option for traveling to and from marinas, beaches and other gathering points. 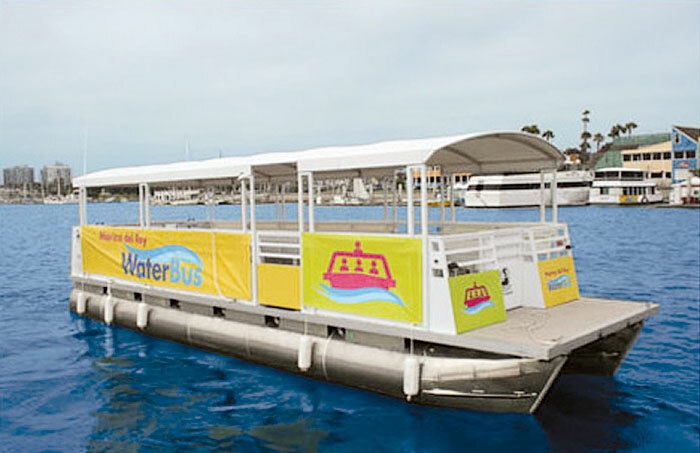 Run by the Los Angeles County Department of Beaches and Harbors and operated by Hornblower Cruises and Events, the WaterBus will make stops at seven locations throughout Marina del Rey, operating on weekends and holidays, and during special events. The WaterBus will be operating from 5 p.m. to midnight Fridays, 11 a.m. to midnight Saturdays and 11 a.m. to 9 p.m. Sundays, through Sept. 3. The WaterBus will be available on Thursday nights for the Marina del Rey Summer Concert Series at Burton Chace Park — operating from 5 p.m. to midnight on July 12 and 26, and Aug. 9 and 23. Tickets are available for purchase at all boarding locations for $1 per person, one-way. Season passes are available for purchase at Fisherman’s Village for $30. • Del Rey Landing at 13800 Bora Bora Way, fuel dock gate. For more information, call (310) 628-3219 or visit marinadelrey.lacounty.gov.